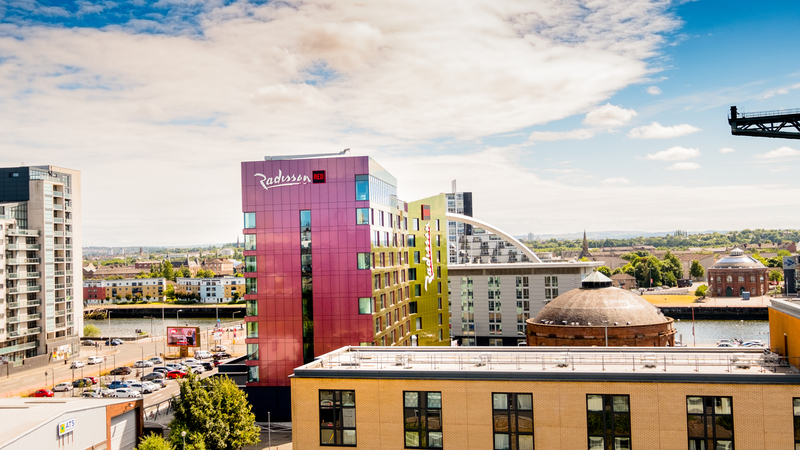 Constructed within Glasgow’s entertainment district in Finnieston, the purpose built Radisson Red is situated adjacent to the new Hydro arena and the river Clyde. 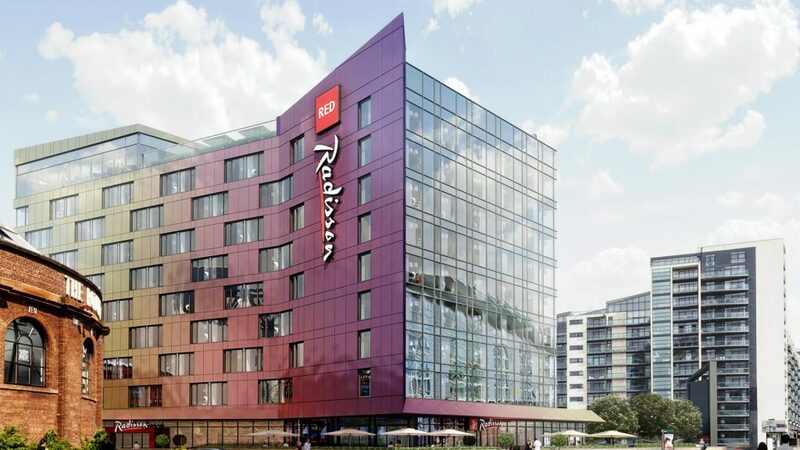 The 10 storey hotel will be Europe’s first new-build for the stylish Radisson Red. The new hotel will be owned by Forrest Hotel limited but operated by Carlson Rezidor hotel group. 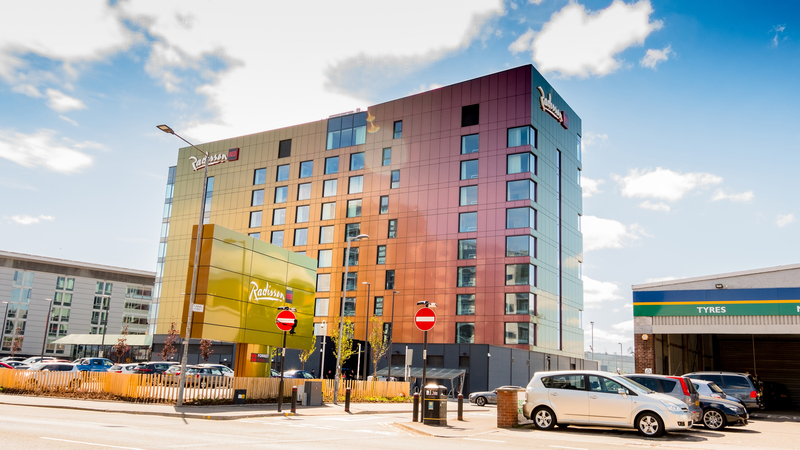 The £30m, 176 bedroom hotel will also contain a roof top Sky bar with views over the city, restaurant, deli, gym and meeting spaces are all housed within a concrete frame. The flat slab construction ensured a tight floor to floor, providing a flat so t for ease of distributing services. 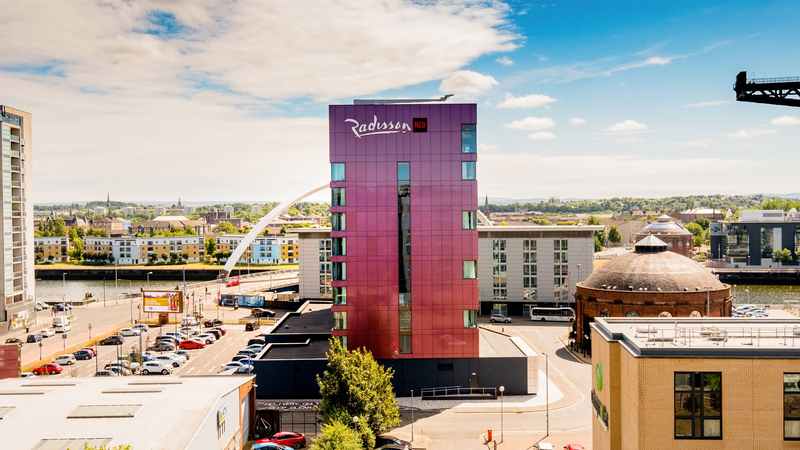 The structure was designed as blade columns to fit within the wall partitions helping to maintain the large room sizes set out by the Radisson Red brand. The site is piled to rock with concrete cores providing overall equilibrium to the building. The site will also contain 80 car parking spaces. The site has been designed with a full SuDS strategy integrated to the cities overall infrastructure network.